The History of Madhya Pradesh is divided into three periods. Isolated remains of Homo erectus found in Hathnora in the Narmada Valley indicate that Madhya Pradesh might have been inhabited since the Middle Pleistocene era, around 500,000 years ago. Painted pottery dated to the later mesolithic period has been found in the Bhimbetka rock shelters. Chalcolithic sites belonging to Kayatha culture (2100–1800 BCE) and Malwa culture (1700–1500 BCE) have been discovered in the Western part of the state. The city of Ujjain (also known as Avanti) arose as a major center in the second wave of Indian urbanization in the sixth century BC, and served as the chief city of the kingdom of Malwa or Avanti. 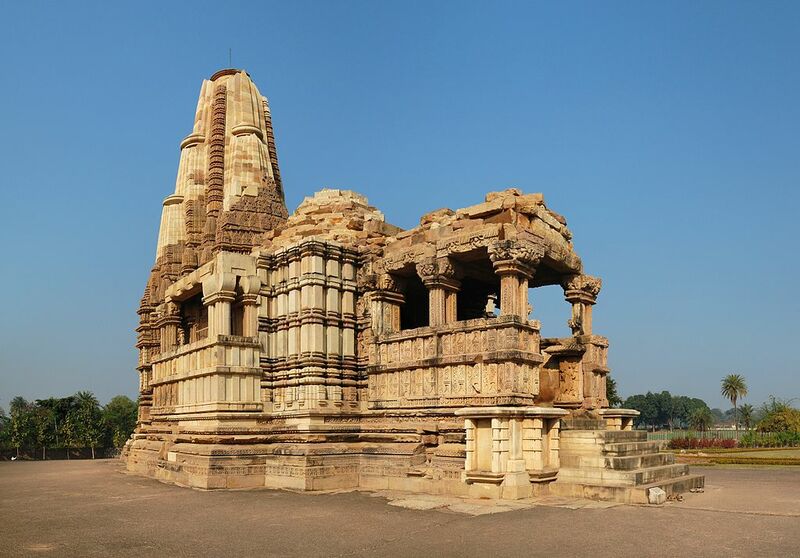 Further east, the kingdom of Chedi lie in Bundelkhand. Chandragupta Maurya united northern India c. 320 BCE, establishing the Maurya empire (321 to 185 BCE), which included all of modern-day Madhya Pradesh. King Ashoka’s wife was said to come from Vidisha- a town north of today’s Bhopal. The Maurya empire went into decline after the death of Asoka, and Central India was contested among the Sakas, Kushanas, and local dynasties during the 3rd to 1st centuries BCE. Ujjain emerged as the predominant commercial center of western India from the first century BCE, located on the trade routes between the Ganges plain and India’s Arabian Sea ports. It was also an important Hindu and Buddhist center. The Satavahana dynasty of the northern Deccan and the Saka dynasty of the Western Satraps fought for the control of Madhya Pradesh during the 1st to 3rd centuries CE. Northern India was conquered by the Gupta empire in the 4th and 5th centuries, which became known as India’s “classical age”. The Vakatakadynasty were the southern neighbors of the Guptas, ruling the northern Deccan plateau from the Arabian Sea to the Bay of Bengal. These empires collapsed towards the end of the 5th century. The attacks of the Hephthalites or White Huns brought about the collapse of the Gupta empire, and India broke up into smaller states. A king Yasodharman of Malwa defeated the Huns in 528, ending their expansion. King Harsha of Thanesar reunited northern India for a few decades before his death in 647. The Medieval period saw the rise of the Rajput clans, including the Paramaras of Malwa and the Chandelas of Bundelkhand. The Paramara king Bhoj (c. 1010–1060) was a brilliant polymath and prolific writer. Present capital city of Madhya Pradesh, Bhopal has been named after him. 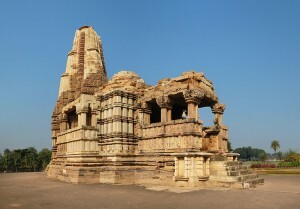 The Chandelas created the temple city of Khajuraho between c. 950 and c. 1050. Gond kingdoms emerged in Gondwana and Mahakoshal. Northern Madhya Pradesh was conquered by the Turkic Delhi Sultanate in the 13th century. After the collapse of the Delhi Sultanate at the end of the 14th century, independent regional kingdoms reemerged, including the Tomara Rajput kingdom of Gwalior and the Muslim Sultanate of Malwa, with its capital at Mandu. The Malwa Sultanate was conquered by the Sultanate of Gujarat in 1531. Most of Madhya Pradesh came under Mughal rule during the reign of the emperor Akbar (1556–1605). Gondwana and Mahakoshal remained under the control of Gond kings, who acknowledged Mughal supremacy but enjoyed virtual autonomy. After the death of the Mughal emperor Aurangzeb in 1707 Mughal control began to weaken, and the Marathas began to expand from their base in central Maharashtra. Between 1720 and 1760 the Marathas took control of most of Madhya Pradesh, and Maratha clans were established semi-autonomous states under the nominal control of the Maratha Peshwa. The Holkars of Indore ruled much of Malwa, and the Bhonsles of Nagpur dominated Mahakoshal and Gondwana as well as Vidarbha in Maharashtra. Jhansi was founded by a Maratha general. Bhopal was ruled by a Muslim dynasty descended from the Afghan General Dost Mohammed Khan. Maratha expansion was checked at the Third Battle of Panipat in 1761.